W.E. Parker Elementary was the recipient of over 4,000 books, 8 for each child. 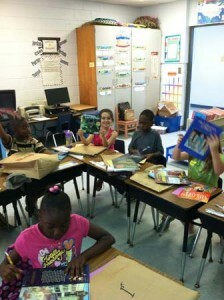 The books were donated by the State Department of South Carolina and the Reading Warehouse. Each child at Parker Elementary received 8 free books to read over summer vacation. W.E. Parker Elementary would like to thank those who donated the books and wish our students happy reading this summer!